1. Sizing – A common error made when choosing an exhaust fan is the size or how much air does it move. This is measured in Cubic Feet per Minute (CFM). A quick way to see if you have the right amount is to measure the length and width of your bathroom and times those numbers together. For instance a 10 foot by 10 foot bathroom is 100 square feet. The general rule is a minimum of 1 CFM per square foot. In our example you will need at least a 100 CFM exhaust fan. Typically there is a sticker inside your fan that lists the CFM. If not and you can locate the model number of the fan, you can use a directory such as HVI (hvi.org) to look-up the airflow. If the airflow of the fan is less than what is needed, you might want to consider replacing the unit. Note: there are other factors such as duct length, height of ceilings and more that can contribute to the airflow of the unit. For our purposes we are just concentrating on some simple ways to check. 2. Obstructions – Once you have determined that the airflow of you fan is what it should be the next item to look at is obstructions. Depending on where your fan is exhausting to will determine how easy this is to do. First do a visual test. Do you see any debris in or around the wall or roof vent? Common obstructions are items like birds nests. If your vent has louvers, make sure they are working and are not frozen shut. CAUTION: if you need to use a ladder or climb on your roof, make sure to adhere to all safety measures to avoid injury. 3. Cleaning – After checking for obstructions outside, it is now time to check inside in the form of dirt and debris build-up in the fan. The performance of your fan can be reduced if it is not properly maintained. If there is a build up of dirt or debris on the fan blades/blower you are probably not getting the full airflow. The good news is this is an easy fix. Follow the cleaning instructions in the user manual that came with your fan (or access them through the manufacturers website). Make sure to follow all safety precautions including turning off the power supply to the fan before starting. 4. Living Test – We sometimes think we have to have some expensive piece of equipment or call an expert in to diagnose things. That is not the case with bathroom exhaust fans. There is a very simple test we will call the living test. 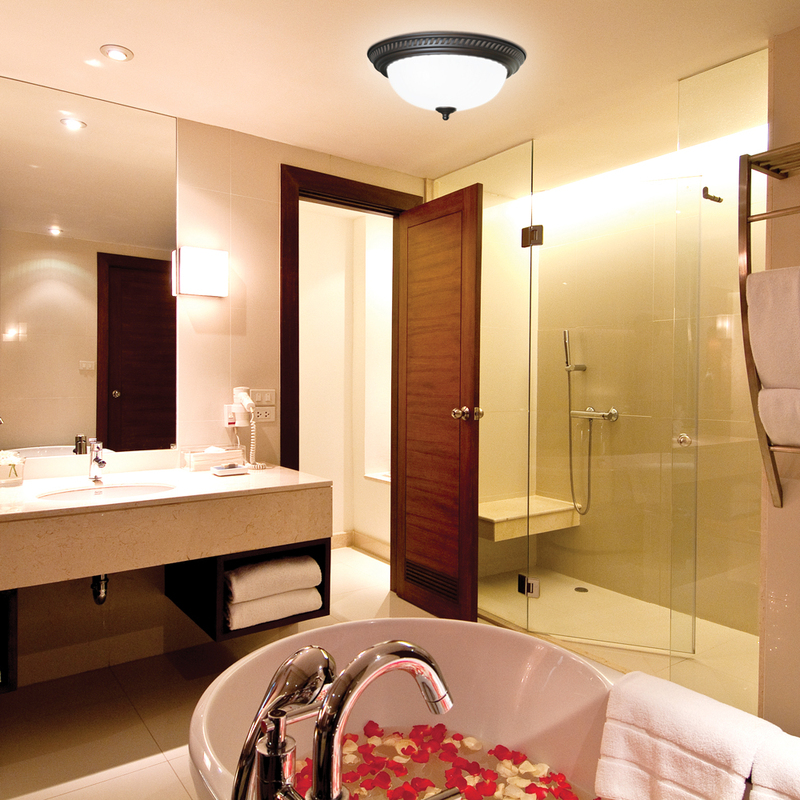 Is your bathroom fan working the way you want it to? After you get out of the shower is the room full of steam for what seems an eternity? Does mold and mildew grow faster than you can clean it? These are some common signs that your fan might not have enough airflow to do the job. As listed above, you can try and see if it is an obstruction or it needs cleaning but you might want to consider increasing the airflow by replacing the unit. Even if you determine that the airflow of the fan matches the size of the room, different factors can be at play that might require a larger CFM fan. 5. Function – When we talk about function, we are talking about two factors – mechanical and user. For mechanical, is the fan physically working? When you turn the fan on, does it operate? I think it goes without saying that if the fan is not operating, it either needs to be repaired or replaced. This might sound like a duh moment but we are always amazed how many times replacing an exhaust fan seems to be a secondary project. The second factor is the user. How many times have you used a bathroom without turning the fan on? We are not judging and forgiveness is available. The main reason people give for not using a bathroom exhaust fan is the sound. Even if the right sized exhaust fan is installed, if it isn’t turned on because of the sound level, then it is as if there is no exhaust fan there at all. There are two ways to solve for that issue. One would be to replace it with a quieter model. Exhaust fans have come a long way and now, there are many models that operate at an almost silent level. A second way is to install either a humidity or occupancy sensor that will automatically turn the fan on and off taking control out of the hands of the occupants. That won’t solve the sound issue, but it will ensure the fan is operating.